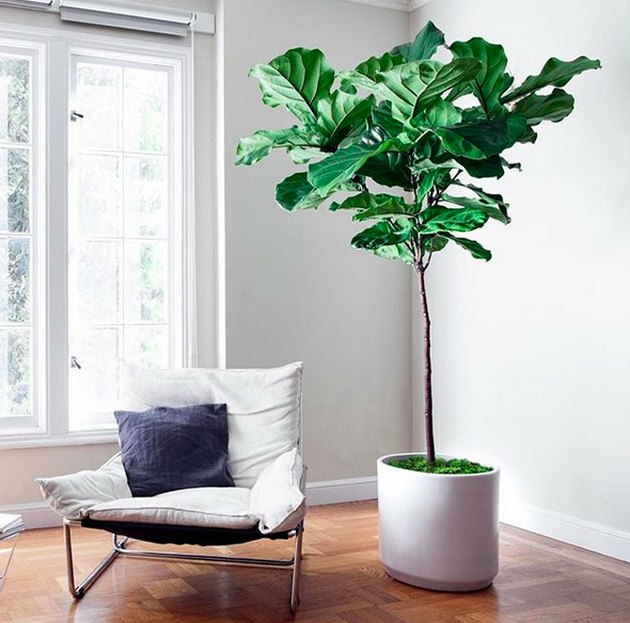 Did you know that a fiddle-leaf fig tree (Ficus lyrata) shoots up taller than a 10-story building when grown in its native habitat? (It hails from tropical regions in western and central Africa.) 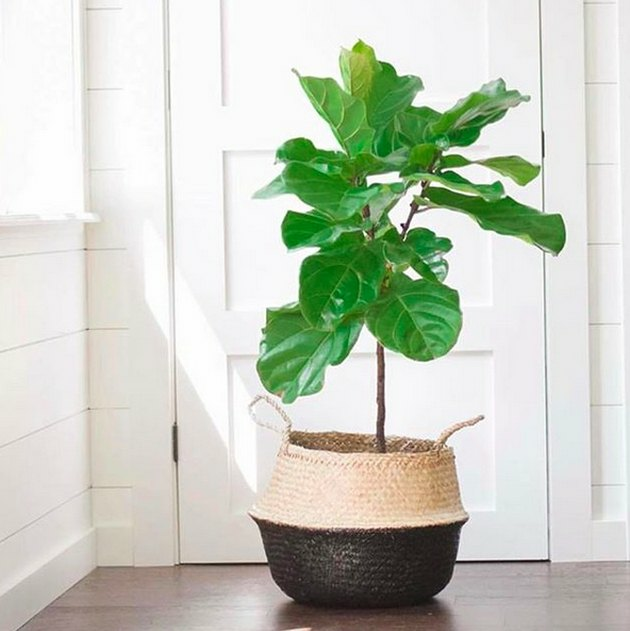 Yet somehow the fiddle-leaf's lush, lovely foliage has found its way into thousands of homes today, making this ficus one of the most popular potted houseplants of all time. As potted plants, fiddle-leafs top out at around 10 feet tall, growing their huge, violin-shaped leaves on upright stems. And although extremely popular, fiddle-leafs have a reputation of being "difficult." 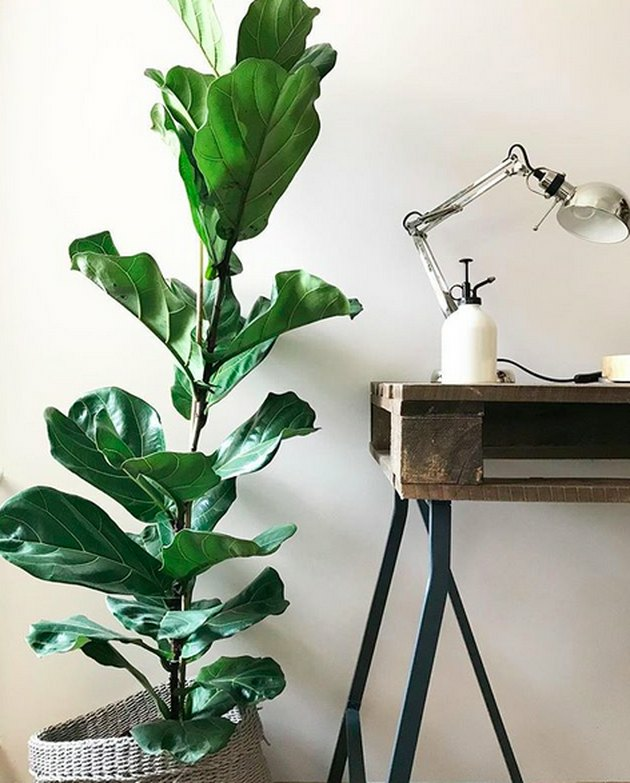 However, the needs of a fiddle-leaf fig are actually not complex at all, and most problems can be avoided by following a few simple guidelines. When it comes to watering houseplants, many believe "the more, the better." However, when it comes to a fiddle-leaf, just say no to this attitude and opt for balance. Too much water will kill it, too little will wilt it. The fiddle-leaf requires soil that is regularly moist but never wet. This isn't hard to achieve if you follow two simple rules: ensure excellent drainage and water only once a week. Good drainage depends on choosing a container with multiple drain holes, then using well-draining potting soil. Never let the plant sit in a saucer of water. If the distance from the top of the soil to the top of the plant is 24 inches or less, give it 1 cup every week during the growing season. If it is between 24 and 36 inches, make that 2 cups. If your plant is between 3 and 6 feet tall, provide 3 cups, and anything over that needs 4 cups. Decrease these amounts just a little in winter, but mist the leaves to keep up the humidity. Finding the right amount of sunlight for your fiddleleaf is a similar balancing act. This ficus needs bright light, but it can only take direct sun in the mornings. The leaves of a plant left to its own devices next to a south-facing window will quickly crisp and brown. Instead, opt for an east-facing window. And make sure to plug any window drafts before you set the fiddle-leaf there. Remember, these are tropical plants and a cool breeze chilly window won't feel good. Turn the plant every few weeks to allow all sides to get light exposure. Wipe the dust from the large leaves every few weeks with a moist cloth. Dust prevents the plants from absorbing sunlight readily and completing photosynthesis. Some ficus species adore regular, rich fertilizer, but the fiddle-leaf fig is not one of them. Pick a water-soluble fertilizer, water it down by half, then use it as part of the weekly watering ritual. Just fertilize this way during the growing season. Cut out fertilizer entirely in winter. 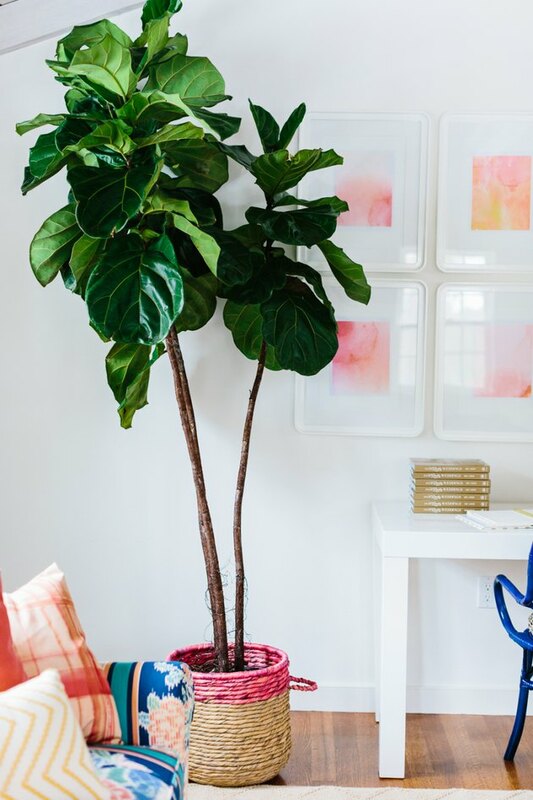 If you follow these general guidelines, your fiddle-leaf fig should stay lovely and lush for a very long time.